You must make reservations at least 5 minutes in advance of the time at Bakersfield - Detroit. 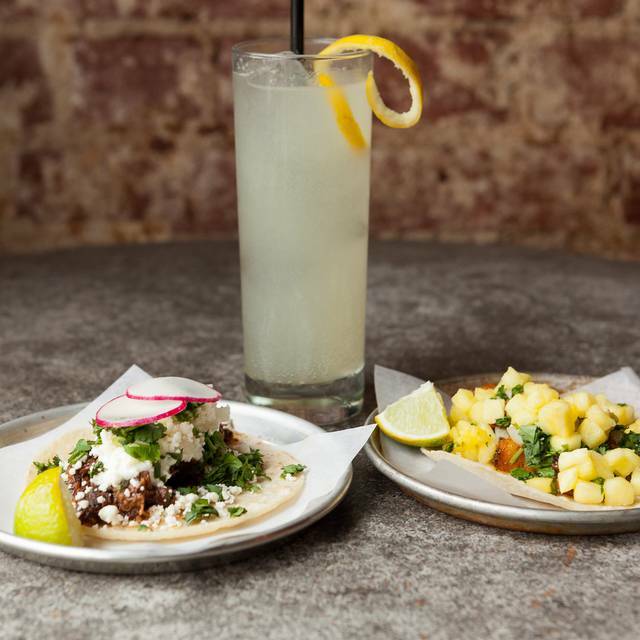 Serving up authentic, Mexican street fare, and a selection of over 100 tequilas and American whiskeys. Bakersfield is a spot where the food is simple, the service is warm and the atmosphere is alive. 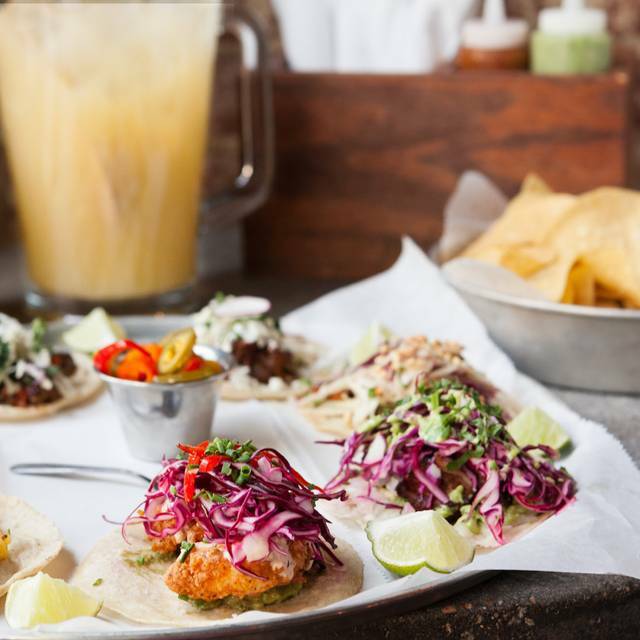 The tacos were absolutely delicious and it was a beautiful atmosphere with a kind staff. We can't wait to go back! Great date night place - casual & fun - a little load but ok.
Great casual food, margaritas and good service. I plan to go back when the weather is better. Very nice dinner before Hamilton, glad we requested a booth, would not have been happy sitting at a picnic table. Great service and food! Food and service were both outstanding! Fun place, great food, good service, awesome location. We really enjoyed the restaurant! Food was very good. The Margaritas were just OK...a bit sour for our taste. This food was delicious! 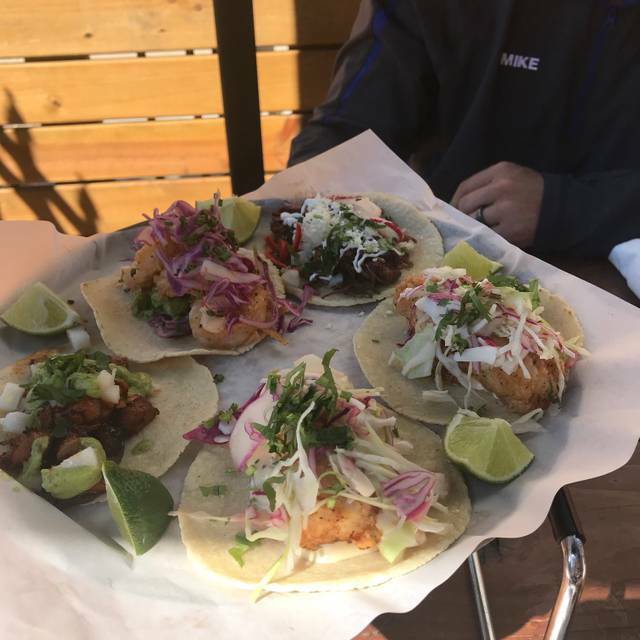 I tried the fish, shrimp and steak tacos and they were the best I ever had. Will definitely visit again!! Awesome tacos!! Quick service!! Headed to a concert with plenty of time to spare. Highly recommend, but make sure to make a reservation. 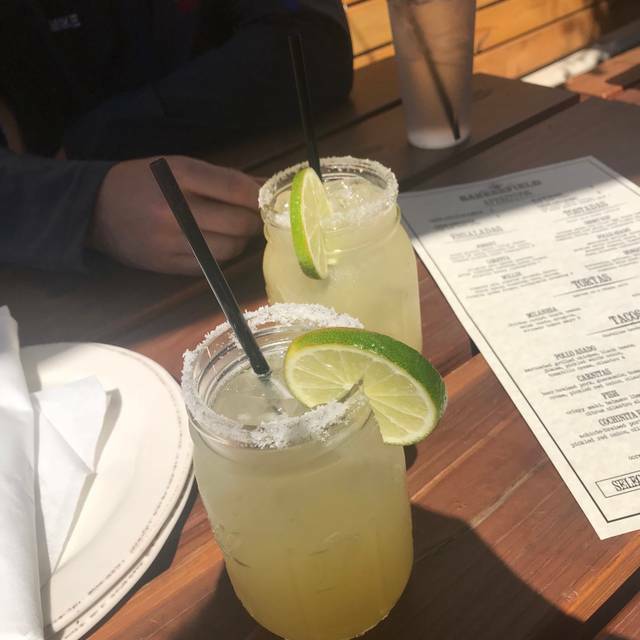 Great Tacos, Great Margaritas, will absolutely be back to visit again! Great margaritas and tacos, the margarita pitcher is an awesome value if you have a big group. The only slight downfall was that it was very loud, but I would still go back. Service was prompt, food was delicious. Parking was an exercise in patience. Friday night and it was hopping. Dinner was tasty. Fish taco - the fish was fried and the vegetarian taco was slim. The beef, pork and chicken tacos were all very tasty. And with three birthdays tweets were treated to shots of Tequila. It was a bit raucous and hard to hear the waitress. Very fast and awesome service. Will be coming back ! Great Tacos, Had the Caritas, Chicken and Shrimp, all were excellent! Chips and Guacamole were great also! Had Founders Mango Wheat craft Beer very tasty. Found price a bit expensive but everything is expensive Downtown. why go out? just buy your own bottle and have it before or after, to rich for my budget. saying hi as soon as you walked by them. 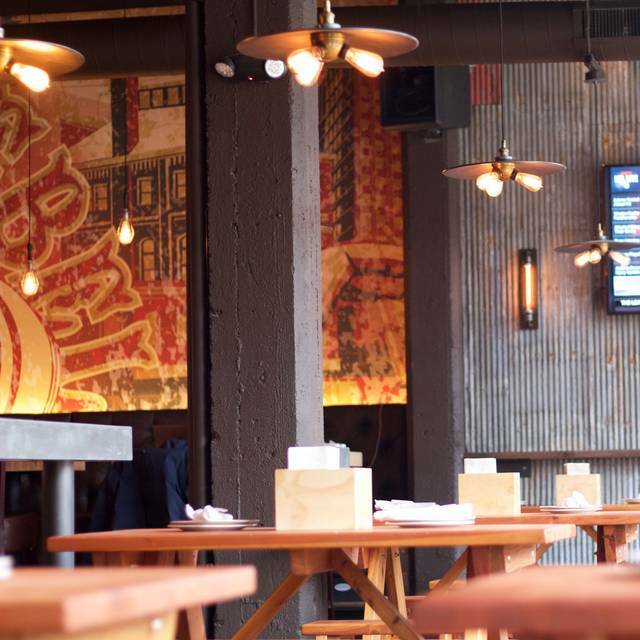 One cool thing about the bar is its old wooden look with concrete floors and tables, old Edison lights and the windows towards Woodward Ave are garage doors, so in summer they leave them open which is cool! Also Bakersfield is only three blocks from LCA Arena, so we were able to find street side parking for free and walk directly to our concert after a great meal and beverages! Would definitely recommend to anyone who loves open bars with a original Detroit theme. The food was very very good and the price point was very affordable. We really enjoyed the ambiance as well. Though there were a lot of people in the restaurant the noise level was good. You could have nice conversation with the person across from you without yelling or struggling to hear. I will definitely be going back. Thanks to OpenTable I learned about Bakersfield. My first visit did not disappoint. The food was fresh and wonderful. Portion sizes were just right and a really good location to Little Cesar's Theatre. My friend has never had Mexican and just loved it. She couldn't thank me enough for finding this place. We will be back next time we are in Detroit! Love the idea of small tacos, but a couple of them lacked flavor. Also the premium Margarita tasted like a regular one. Great service, nice place. Overall for a Mex Pub it was very good for the price. Loves the menu offerings (we aren't really drinkers) - delicious and really well priced. Will definitely recommend! Great food, super fresh and tasty. Our waiter, Billy, was attentive, knowledgeable, and fun! Fabulous waitress- great food and drinks! This was my third time at Bakersfield and each time has been better than the last! The short rib tacos are amazing and they have the best guac around! Valentine’s Day! Mexican food is our fave and this was the perfect place- we didn’t want too fancy or too expensive. 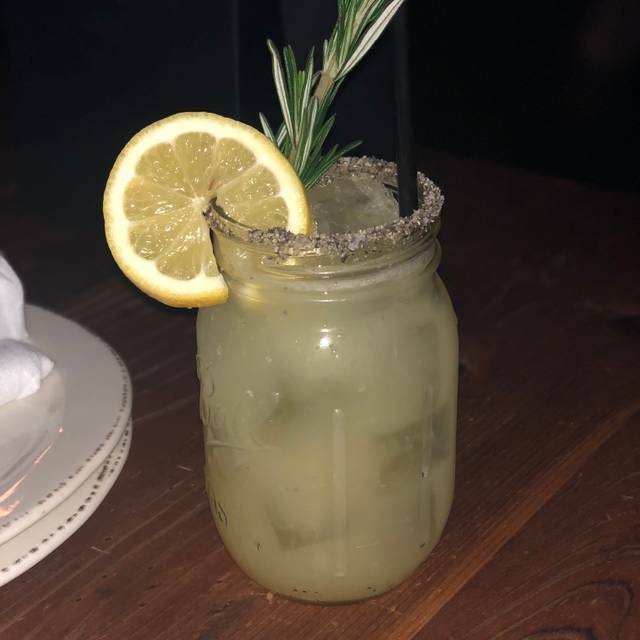 The drinks were great, the food was great, and the ambiance was just what we were looking for! Very fun restaurant. It was a short walk to LCa which is why we picked it. We has chips and salsa (loved the verde) and queso as out apps. 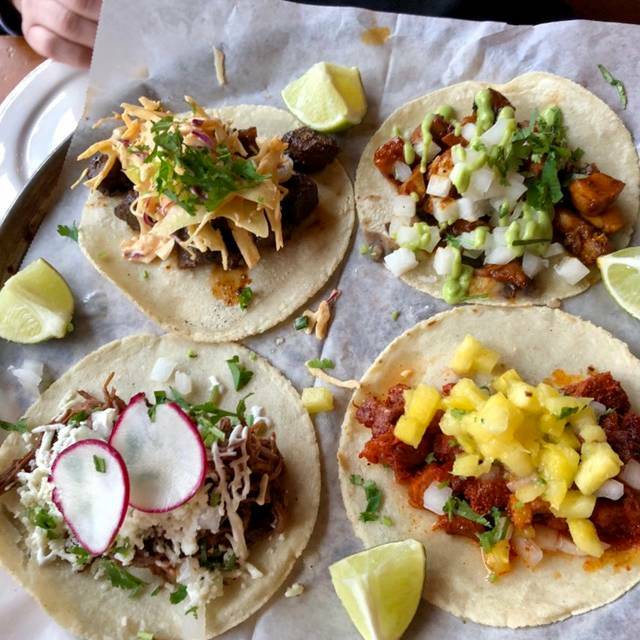 A la carte tacos for dinner are excellent. Only thing I would do different is pick a different margarita pitcher - the “Bakersfield” marg was too tart for all of us. We will be back! Perfect spot to get a light meal and cheap beer before going to a game at LCA. Perfect pregame food spot! Accommodated our large group of 11, no problem! Great friendly service! Sangria was YUM! Very fun space. With our table of 6 we were stuck in back corner so wasn't the greatest spot, but understandable and still nice meal. Everything a la carte and was very good. Queso exceptional. 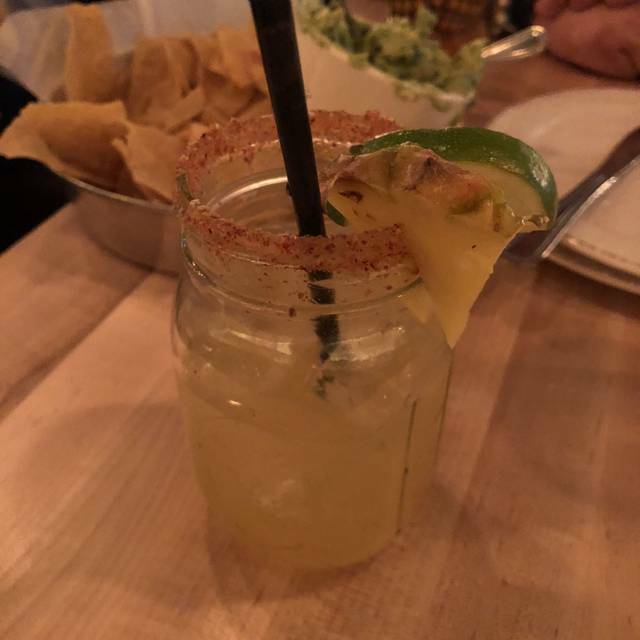 Pineapple margarita was great. Paid street parking is available in front of this Woodward Ave. establishment. The cocktails are excellent. Prices are fairly reasonable for the fare. The Mexican selections I tried tasted authentic, and my Mexican-born server confirmed this! It's an open, cavernous space so it can get pretty loud as it fills. All in all, I'd absolutely return. The guacamole was really good and so were the tacos. A friend and I came here for the first time after Phantom of the Opera. We had a reservation for 11pm, and we were seated right away. The tacos (bistec and fish) were amazing! The fresh cilantro was the perfect compliment. The service and prices were great also. My only regret is that I was too full to taste more. Will definitely be back! Food was fantastic. Service took a little while, but all in all a pleasant experience. Clean & modern. We got chips and guacamole, was yummy, chunky guacamole! Tried 4 different tacos and found it to be quite tasty and reasonably priced. Went here after the Fox Theatre, about a half mile away. Parking was a little tricky but overall was a fun tasty meal! Went for our sons bday expecting same menu items as in several past visits and were a bit disappointed to find that the smoked beef tostada had been removed and replaced with a different version (three very small tostadas and no egg). New queso dip w smoked beef was excellent. Service was too; Paige took good care of us!